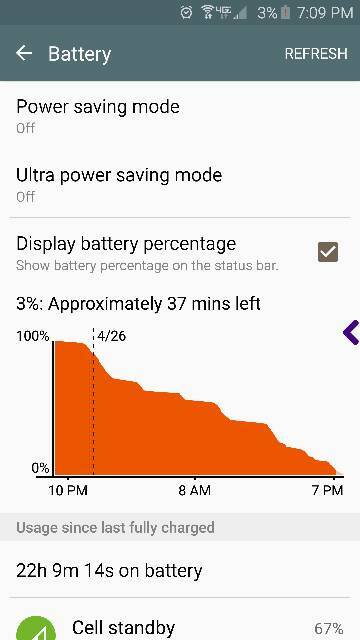 s6 vs edge battery life, real world results. 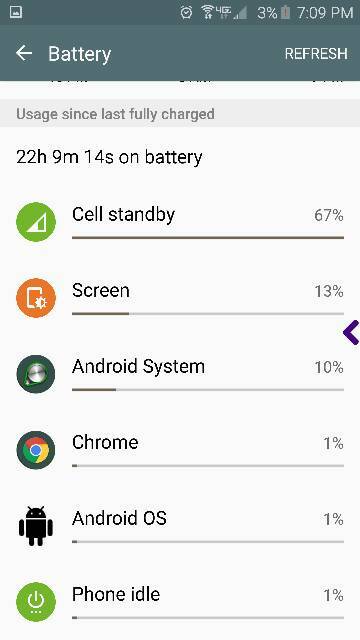 I'm going to be purchasing a new S6 or Edge model and from the articles I have read online, there are conflicting reports stating the edge model has a 10-12% better battery life and others the opposite. I would like to hear from first hand real users what they are seeing if they have had the opportunity to use both phones. I only have experience with the edge (and have had persistent battery drain issues with that) but I cannot imagine the edge having any measurable battery life advantage over the 'regular' S6. 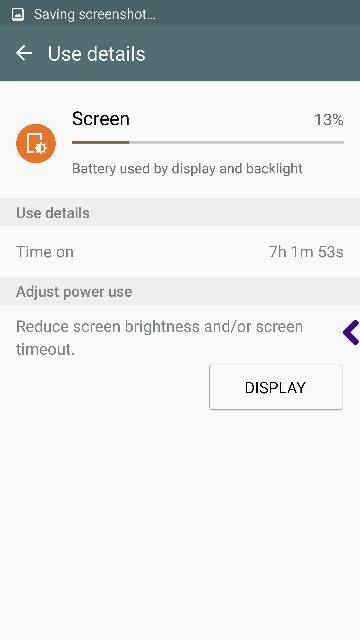 Both should give you roughly 4-5 hours SoT and 15-20 hours standby if they are operating normally. Thanks, i have posted the same question on other forums and a few have responded the edge is slightly better but the consensus is the battery life is not as good as advertised like you stated. I wanted to spread the good word that they aren't all bad. This phone is amazing! 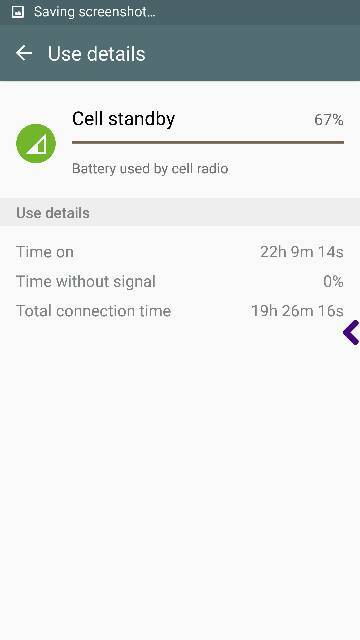 AND this battery life is WITH cell standby at 67% ... imagine what it'll be after Google fixes this cell standby issue. Amazing!